New Embroidery On A Cap Back! I have a step by step PDF copy of the article called “Back-Words Cap” for you to download and keep for a new idea for you to use for your customers or clients. This was very easy to do and a fun project! 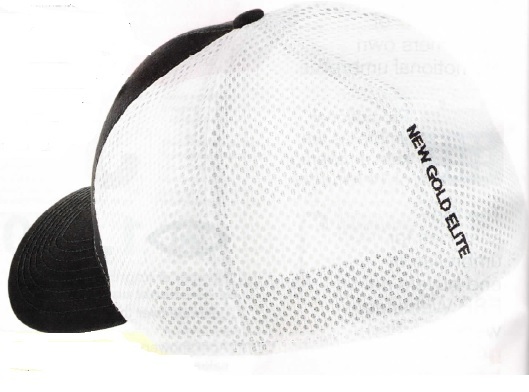 The cap that I used for this project was a New Era Cap #1020 Stretch Mesh cap that I purchased from Sanmar.com.It was a structured cap of 100% cotton in front two panels, 100% polyester Spacer Mesh in mid and back panels. It was a mid profile with a stretch fit back. The biggest challenge was to make sure that the embroidery was totally centered on the back seam. I placed my start point in the center seam on the outer edge of the first word, NEW. I tried using a regular hoop for this, but it was much easier to use the Slimline HoopTech Clamp with a 2.5 x 4-inch window. It made the project very easy to do. Try this, have some fun with it. You can start the embroidery at the top or even at the bottom with the embroidery reading up the back instead of down the back. This type of embroidery on a cap back is different and fun!